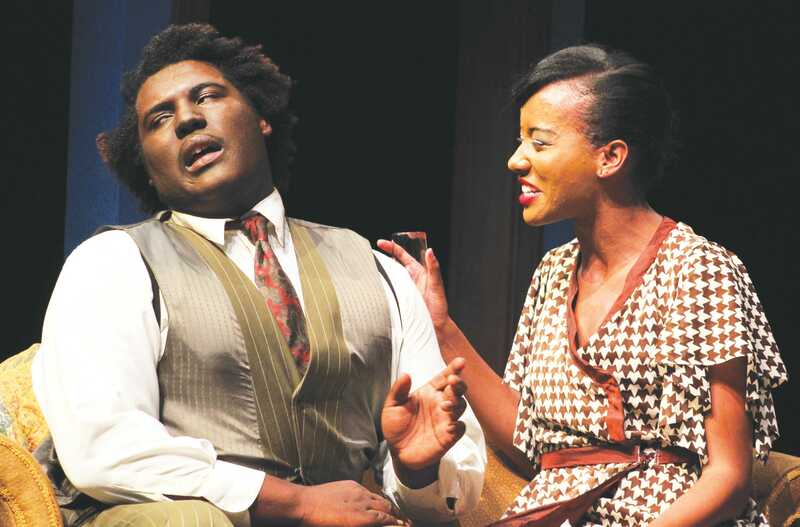 The all-African-American cast of “Blues for an Alabama Sky” was chosen to represent FMU’s minority diversity. This year’s fall theater production, “Blues for an Alabama Sky,” featured the first all African-American cast and was directed by Professor Keith Best, department chair of theatre. “Blues for an Alabama Sky” opened at the Hyman Fine Arts Center on Oct. 20. According to Best, opening night was a success, even with the lost days that came along with Hurricane Matthew. Eric Squirewell, Jr., junior theatre major and the actor who portrayed Guy, also expressed his satisfaction with opening night. Best said that this production was put together mostly by the students with only minimal professor instruction and supervision. Students did the sound system, the poster design, the lobby design and prop design. “Blues for an Alabama Sky” is a two-act play set in Harlem, N.Y., and was written by Pearl Cleage. The play focuses on struggles endured by the African- American population during the Great Depression. Some of the issues discussed in the play are the inability to find work, which led to the struggle to live, the difficulties that arose with women becoming pregnant with children they could not afford and the establishment of the family planning clinic. Among those issues, the play also includes eviction, abortion and murder. This play was selected as a means to represent the diversity among the student body on FMU’s campus. Best said that, like with any other production, African-American plays are limited to the cast pool that is available, which has influenced when these plays have been able to take place. He said that this year, he knew he had the actors available to fill the roles in this play, which made this production possible for this year. Both the actors in the play and student viewers of the play were pleased to have an African-American play performed on FMU campus. “I am proud because it takes some of the violence out of the world and shows African-Americans doing something good,” Chelsea Williams, freshman pre-nursing major, said.